1. File was mistakenly deleted from the USB flash drive. 2. File was deleted due to an unexpected format. 3. File was deleted due to improper operation like ejecting the USB incorrectly. 4. The partition structure on a USB flash drive was fragmented or partition table was invalid. 5. Another program deleted the file. Step 1. Launch Flash Drive recovery software on your computer. Step 2. 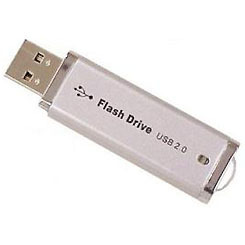 Make sure you have connect your USB flash drive to your computer, and in Asoftech Data Recovery, selects your flash drive. Step 3. Press "Next" button to start scanning for lost files. After scan finished, you can preview the recovered file from USB flash drive. Step 4. Preview all the recoverable files from flash drive, and then press "Recover" to save them to your computer.